Sunroof, Heated Seats, iPod/MP3 Input, CD Player, Onboard Communications System, Satellite Radio, POWER REAR DOOR W/KICK SENSOR, F SPORT PREMIUM PACKAGE. UX 200 F SPORT trim, Redline exterior and F-Sport Black interior. AND MORE! F SPORT PREMIUM PACKAGE Rain Sensor Windshield Wipers, Driver & Passenger Seat Heater, Power Tilt & Slide Moonroof/Sunroof, POWER REAR DOOR W/KICK SENSOR auto and easy closer door, wireless lock, unlock and panic alarm, BLIND SPOT MONITOR manual retractable outside mirror and lane change assist, ROOF RACK CROSS BARS, ACCESSORY PACKAGE 2 Carpet Cargo Mat, Rear Bumper Applique, Key Gloves, Alloy Wheel Locks, F SPORT HEATED STEERING WHEEL W/PADDLE SHIFTERS. Lexus UX 200 F SPORT with Redline exterior and F-Sport Black interior features a 4 Cylinder Engine with 169 HP at 6600 RPM*. At Lexus Santa Monica in Santa Monica, we have the new and used vehicles you have been looking for! 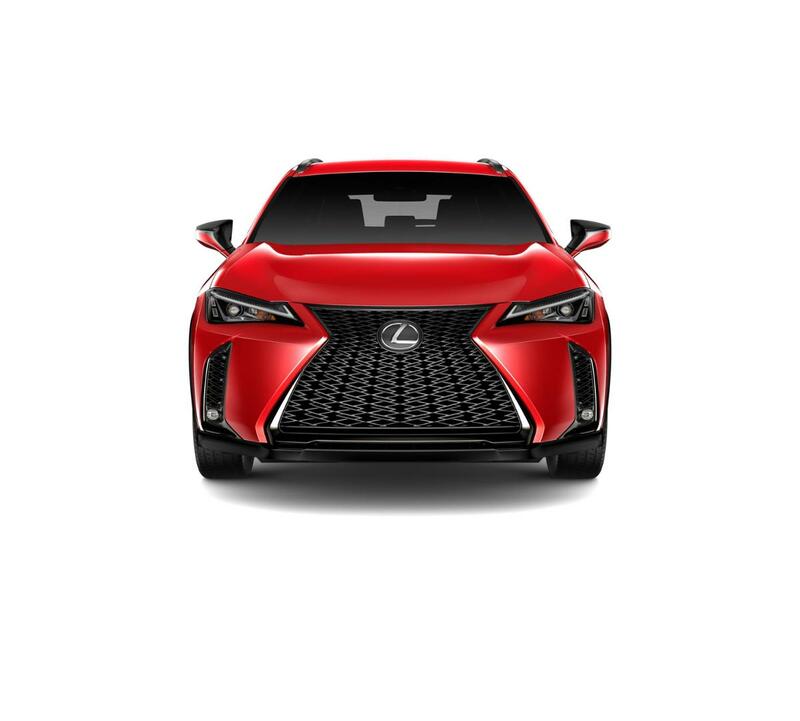 This Redline 2019 Lexus UX 200 F SPORT, is available right now at your Santa Monica Lexus dealership. Call us at (424) 229-9998 if you have any questions about this Lexus or any of the other vehicles at our Santa Monica Lexus car dealership.